The Army of the Holy Roman Empire (German Reichsarmee, Reichsheer or Reichsarmatur; Latin exercitus imperii) was the army of the Holy Roman Empire. Created in 1422, it came to an end even before the Empire was wound up in 1806, as the result of the Napoleonic Wars. It must not be confused with the Imperial Army (Kaiserliche Armee) of the Emperor. The Army of the Empire did not constitute a permanent standing army which was always at the ready to fight for the Empire. When there was danger, an Army of the Empire was mustered from among the elements constituting it, in order to conduct an imperial military campaign or Reichsheerfahrt. In practice, the imperial troops often had stronger local allegiances than their loyalty to the Emperor. 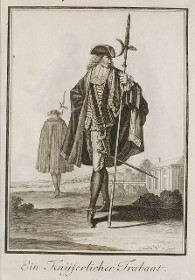 The Imperial Army (German: Kaiserliche Armee), Imperial Troops (Kaiserliche Truppen), Exercitus Imperatoris Romani, or Imperialists (Kaiserliche) for short, was a name used for several centuries, especially to describe soldiers recruited for the Holy Roman Emperor during the Early Modern Period. 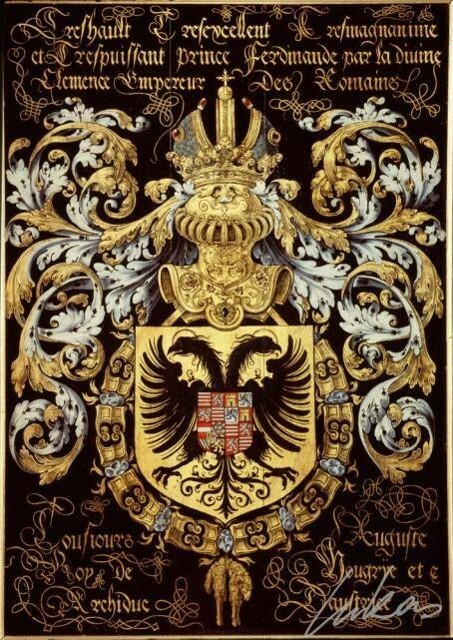 The Imperial Army of the Emperor should not be confused with the Army of the Holy Roman Empire (Reichsarmee), which could only be deployed with the consent of the Imperial Diet. 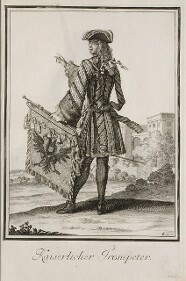 The Imperialists effectively became a standing army of troops under the Habsburg emperor from the House of Austria, which is why they were also increasingly described in the 18th century as "Austrians", although its troops were recruited not just from the Archduchy of Austria but from all over the German Empire. The Habsburg monarchy supplied almost all the Holy Roman Emperors during the Early Modern Period. Their title of Emperor was one that was bound not so much to a territory, but to a person. In the tradition of the Roman Empire, the Emperor had a status that was recognised in all of Latin Europe. Accordingly, the Imperial Army was a force established by the Emperor, with privileges in the whole of the Holy Roman Empire. The Emperor was not permitted to raise troops in the electoral states, but had inter alia the right to recruit soldiers in the imperial cities and in all other territories. 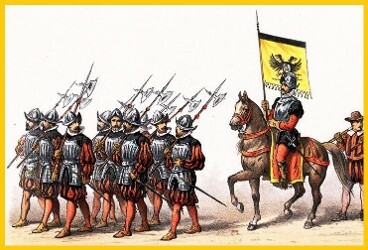 Independent of the Emperor's ability to raise his own army, the Imperial Diet could establish the Army of the Holy Roman Empire, the "troops of the empire". 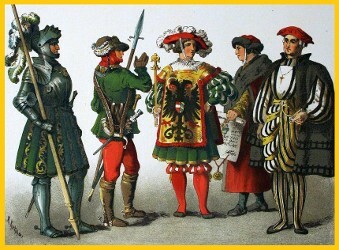 Prompted by the threat posed by the Hussites, the Imperial Diet of 1422 held in Nuremberg created the Army of the Empire by demanding specific contingents of troops from the various parts of the Empire. The Hussite Wars continued from 1420 to 1434, by which point the army had proved its worth. Over the next hundred years, the size of the Army was controlled either by the number of serving men being strictly regulated or by limits on the money that paid for it. At the Diet of Worms in 1521 a commitment was made to keep the strength at 20,063 infantry and 4,202 cavalry. This was later simplified to 20,000 and 4,000. 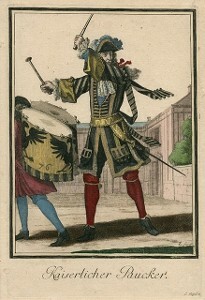 The monthly cost of paying for an army of this size was known as the Römermonat. 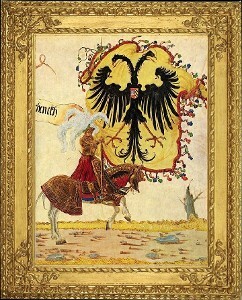 The Imperial Register (Reichsmatrikel or Heeresmatrikel) determined the contributions of the individual states making up the Empire, the first being the Register of 1422. Contrary to popular belief, the Army of the Empire did not take part in the Thirty Years' War of 1618 to 1648. The Emperor participated in this war with the Imperial Army (Kaiserliche Armee) instead. 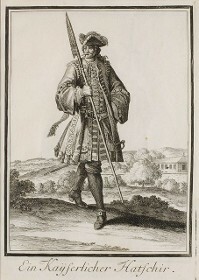 The Constitution of the Army of the Empire (Reichsdefensionalordnung) of 1681 finally determined the composition of the army, fixing the contingents to be provided by the various Imperial Circles. 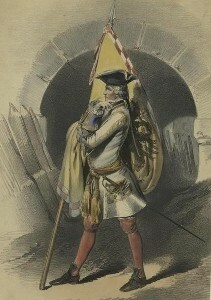 The simple total strength (called in Latin the Simplum) was now fixed at 40,000 men, consisting of 28,000 infantry and 12,000 cavalry, including 2,000 dragoons (that is, mounted infantry). In emergencies, the size of the army could be increased by doubling or tripling the contingents. Such multiples were called in Latin the duplum and the triplum. The figures for the contingents to be supplied by each Imperial Circle were little altered until the demise of the Empire. In practice, they were organized into a number of separate regiments. In some cases, money was provided instead of men to fulfil these military obligations to the Emperor.